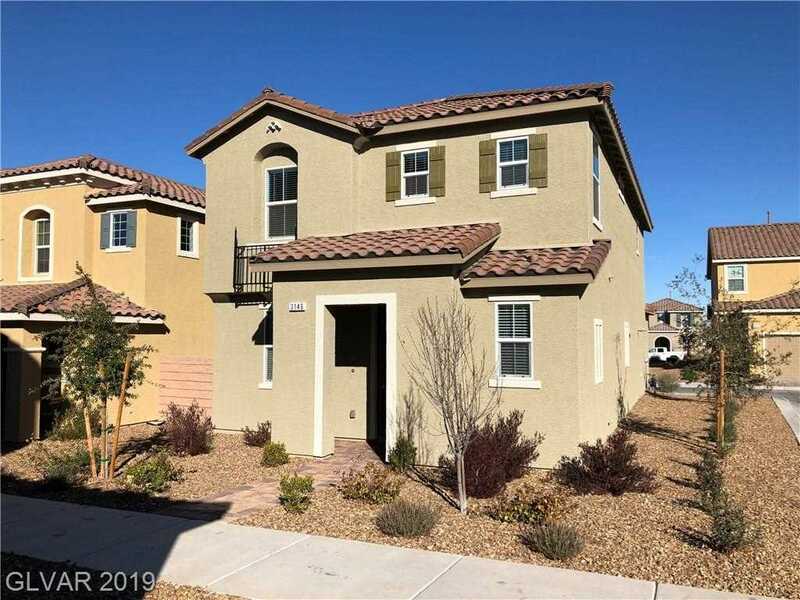 Beautifully upgraded home has luxury vinyl tile, granite countertops, large undermount single-basin kitchen sink, walk-in pantry, pre-wired surround sound, tankless water heater & soft water loop, extra garage storage rack, walk-in master closet, oversized tub/shower & dual undermount bathroom sinks! Insulated interior walls, recessed lighting & ceiling fans throughout! Just steps to grassy pet area & short walk to community pools & playground. Directions:In Inspirada, follow the yellow KB signs to their Greencourts models. Park at the KB Greencourts sales office. Monza Manor Walk is at the north end of the grassy area. SchoolsClick map icons below to view information for schools near 3146 Monza Manor Walk Henderson, NV 89044. Listing provided courtesy of Compass Realty & Management, L.